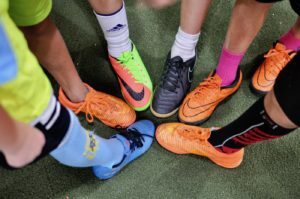 We have 6 week indoor kid’s leagues for players born in 2008-2011 in the summer (June and July) and winter (December and January). There are 4 seasons each year starting at the end of February, May, August and November. There are 3 divisions. It’s $400 per team. The women come indoors and play each winter from late November - February. It’s $400 per team. We have 10 weeks of indoor lacrosse for middle and high school boys. Our afterschool program is perfect for active boys and girls. We provide a snack and homework time followed by games and active play regardless of the weather. The goal is that when your child is picked up, their homework is completed and they've had 60 minutes of physical activity.